Phew...it seemed the Halloween parties were never ending! PLEASE Tell me you know who I am??? I had about half of the people know and the other half thought I was "I Love Lucy". It's HISTORY people! 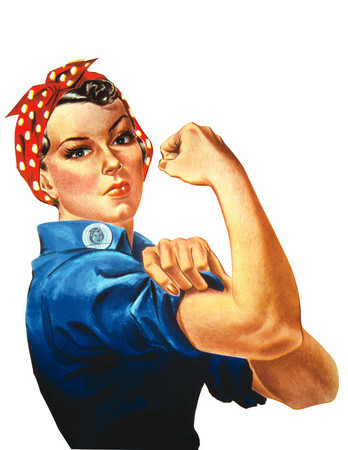 We should all know about the Power House woman "Rosie" the riveter! My grandma was a Rosie. P.S. Is November the 1st to early to start blasting Christmas Music??? I say it is, but Brett has been counting down the days til November so he could play his Christmas faves! So cute Heidi!! Sounds like you guys had a fantastic Halloween!! 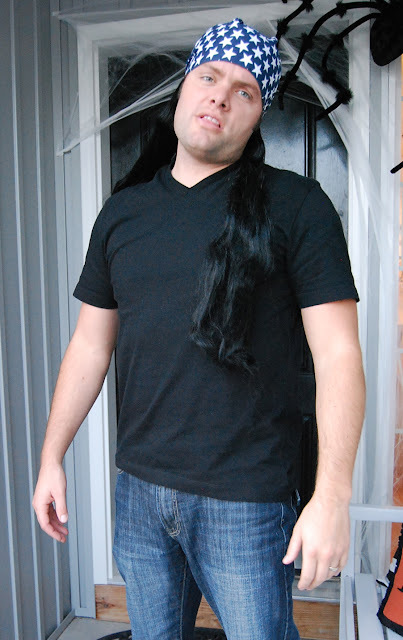 Your costume looks cute, but I have to admit I wasn't exactly sure who you were. It was one of those "looks familiar" moments. And your food sounds amazing!!! Especially the bean dip. I think my weight in chocolate has been eaten my me alone today, and I really don't want to work out! Waaahhhh!!! I knew exactly who you were. You look awesome! Your dark hair and fair complexion are perfect. I agree about the dancing -- I wish people still danced like they used to. I knew exactly who you were. You look beautiful as usual. Great idea! Sounds like you all had a great Halloween. You should totally do more vintageit suits you but as a costume this was my favorite! Love the costume! I saw it in your pinned items and thought it was way cute!! I recognized you too, and I love that you pulled that off so well. Seems like that was a great era. Also, I think it's fun to have Christmas start early. Then it's not over in a big rush!